What is a multigenerational home? A multigenerational home is designed to meet the needs of multigenerational families. Multigenerational families have unique requirements for public and private space within a home. One common feature is the desire for multiple master suites. What is a multigenerational family? First, what are multigenerational homes called? The list is part descriptive and marketing names. Some names describe the house like two homes under one roof or home within a home. Other names combine relationship with a house like granny flat, mother-in-law suite, four generations - one roof or a casita. 2Gen homes, GenSmart, Next Gen houses and many more are marketing names for multigenerational properties. Categories of multigenerational households are a way to understand their needs and discussing general housing requirements. These four types of multigenerational families may not cover all situations, but help by establishing broad categories of housing needs and wants. Three-generation: The most common multigenerational household arrangement consists of three generations. Grandparents, parents and children would be an example of a three-generational home. Typically they would want two master suites and then a mix of private and public rooms to meet their needs. Two adult generations: two-generation households are two generations living together. This would not be a family living arrangement like parents and young children. One way of looking at this is two independent families living together. Some examples would be parents with an adult child or grandparents and parents. “Boomerang” children are a common way to from this type of household. Typically they would want two master suites and shared living areas. Four-generation: The four or even five-generation household – parents, grandparents, great-grandparents, adult children and their children create a complex set of social and housing needs. These family homes can have three to four master suite requirements. The amount of public and private space must be balanced between desires and budget. A 4,000 to 10,000 square feet house could be required to meet this multigenerational family’s needs. Grand families: This family structure has the needs of a nuclear family even though it is a multigenerational family. Grand families are, households headed by an older individual or couple who live with grandchildren under age 18. They typically would want one master suite and bedrooms for the children. Two family rooms are great for this family so each generation can enjoy their own entertainment. Teen age children may need more private space, maybe even with some soundproofing to create that individual time needed. Multigenerational properties come in many different styles and sizes. Determining the best house set up is based on the family’s wants and needs list and budget. A room used as a den with one family may be play room or office to another. It could also be used as a second family room or game room. Understanding the unique family situation is key to finding that multigenerational property to become a new home. Home is the key. What house features can facilitate a harmonious home life? Finding a house that can meet the needs of a Multigenerational family will go a long way to create peace at home. Enjoying the benefits of a multigenerational family can be enhanced by a house that meets the family needs. On the other hand, a house that fails to meet the needs can create discord and frustration. What makes a property multigenerational? What makes a multigenerational property? The short answer is people’s needs. No one property design fits all multigenerational property wants or needs. 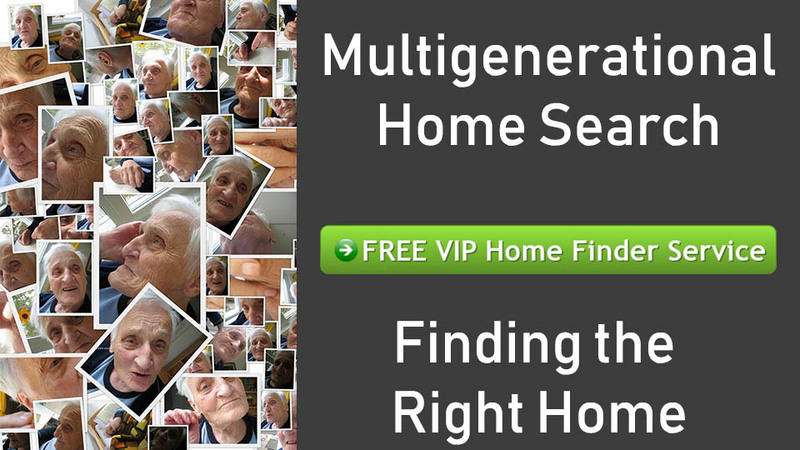 This blog deals with many of the common features of a multigenerational property. Communication is the keys to successful multigenerational living. Getting a feel of what features are available, then discussing them is an example of open, up front communication that can save a lot of time when looking for a new home. One example is maybe Mom and Dad did not share how important it is to have an en suite bedroom and the search began with one master with en suite An en suite is a bathroom that is directly connected to a bedroom. Then after some time and Mom and Dad kept saying “no” to the home, it is discovered they want the en suite. The time lost not looking for a two master bedroom with bath is lost. In addition, how would that information impact the price? Also, how would that impact the square footage of the property? And it goes on and on. Listing the home’s features can be very helpful. Our checklist has these options: Must Have, Would Like, Willing to Compromise, Must NOT have, Not Important. The idea to embrace is at any given time in the real estate market, the perfect home with all the wants and needs in the picture-perfect location and at the right price may not be a reality. Therefore, compromises must be made. The checklist helps with that process. The multigenerational property has a unique mix of home design. None of the designs are unique, but the mix of building features creates a design suited for the multigenerational family. In other words, a master suite is not unique, but having two or three master suites in a home is unique. Another thought before the list is the privacy versus public areas. Successful multi-generational living requires a fine balance between private and communal spaces. Private space can mean a two building layout like a guest house with a separate, self-sufficient unit away from the main house. Or privacy can be as simple as a personal bedroom with a door that can lock. Explore what every family member wants and needs for privacy when creating the list of features. Public areas focus around eating, social interaction, playing, entertainment, relaxing, parties and social gatherings. The rooms that fulfill these requirements can have more than one function. A child’s play room in the day can have a second TV for alternate entertainment than the family room. The size of the public room can be very important to some families. Working out what is needed and wanted before the house searching begins will help in looking for the right property with an approximate price range. Notice on the Multigenerational Home Checklist that there are several blank spaces to create your own features. Every multigenerational family is unique and so are the features needed to meet all the individual needs of the family. There is not a music room on the list. But that could be a key need when looking for your multigenerational home. One last point; work with a real estate agent that is comfortable with all these issues. Many people choose a real estate agent by who they know, but in this case a specialist could be the best choice to finding your new home. Two major keys when buying a multi-generational home are Communication and Expectations. Combine to that every family is unique and the stress in finding a multigenerational home rises exponentially. Therefore every multigenerational home must have a individual style, number of rooms and private and public area mix. Taking time before home searching can save frustration and many hours. These tips for buying a Multi-Generational Home is like a map that can show the way, but the trip is where the real works begins. 1. Communication – Everyone should be heard. Have a family meeting where the oldest to the youngest expresses their wants and desires list. 2. Expectations – Even with an unlimited budget, it could be difficult to find the multigenerational home that has what everyone wants and desires. Manage the expectations and the journey to the new home will be much more joyful. 3. Finances - Open, honest and clear communication about the money up front can save many problems. Finances can be broken into two areas. First, how much can we pay for the home? Second, what are the monthly bills and who is going to pay for what? 4. The home – What does the family need and want in a multigenerational home? What public areas are needed? What private areas are needed? 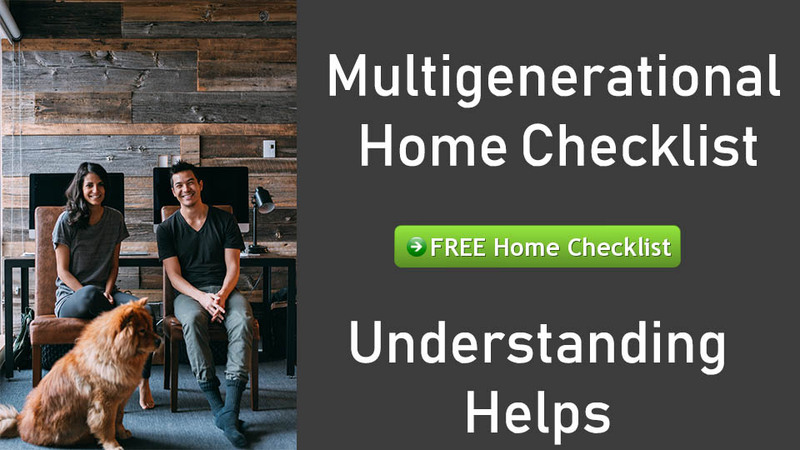 The multigenerational home checklist can help with this discussion. 5. 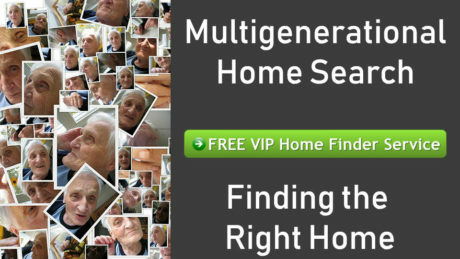 Finding the Home – Multigenerational experienced real estate agents are rare. But they can save time and money when looking for this type of home. At Coffee Real Estate we work with the unique dynamic of every multigenerational family to find them the very best home that works with their budget, wants, needs and location. 6. Special needs – Special needs can help find the right home. A family member’s necessity of a special needs bathroom or access can exclude many homes. 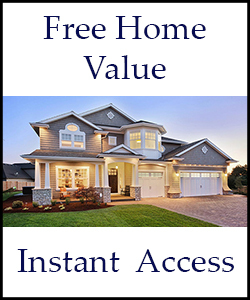 Think about using this property feature to lead the home search. Finding the right location, style of home, in budget can be a daunting task; but add the family dynamics of a multigenerational family and it can feel overwhelming. Use these 6 tips to get a handle on the process and partner up with a Coffee Real Estate agent to share the load. Then your dream home is just a matter of time.